There are 200 search engine website ranking factors. Some carry more weight than others. 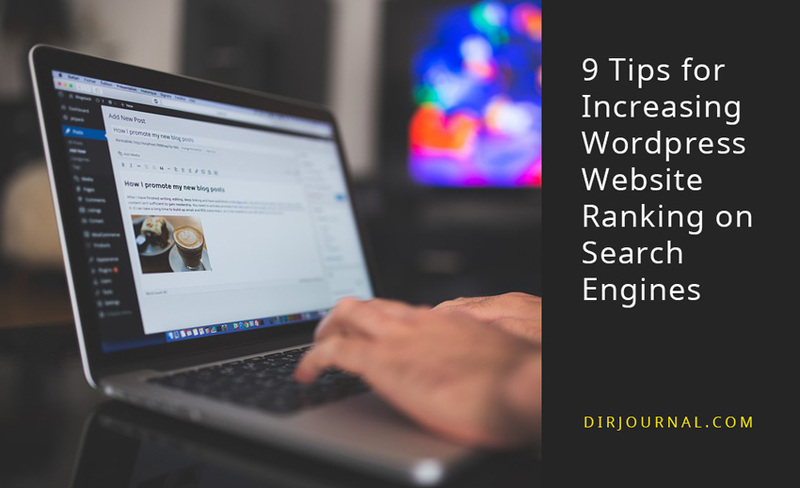 In this post, I will focus on nine of the most important ones that are most likely to have the biggest impact on your SEO efforts. Second to the actual content of the page, the title tag is the most important on-page SEO factor. The title tag is the main heading on the SERP (Search Engine Results Page) for your page. Decide on your keyword, focusing on keyword intention. 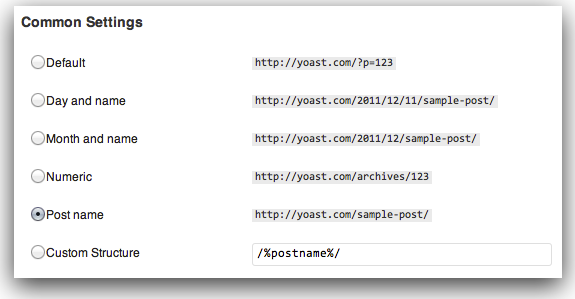 To easily write your own title tag without fiddling with complicated stuff, use a plugin like Yoast. Keep in mind that title tags that start with keywords tend to perform better. You should be using headers in your content already, so that the text is broken up and makes for easier reading. Simply pop a keyword in your H1 headers. 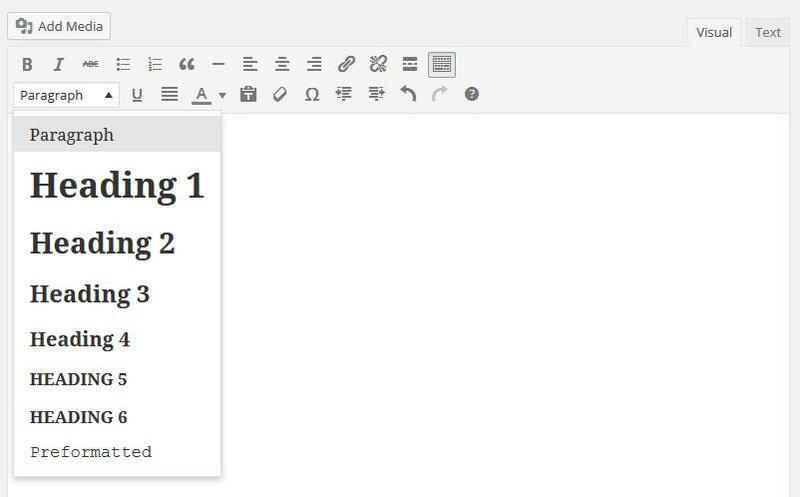 When adding your content to WordPress, simply highlight the text you want to make into an H1 header, and then select the correct header, as shown in the above screenshot. 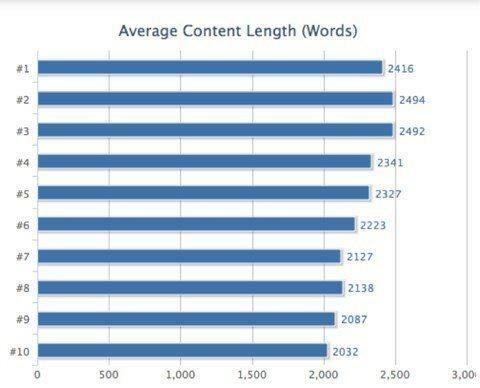 It appears that the more words the content has, the better it will rank on the SERP. Do some research by finding out the top ranked content in your niche, and checking how many words they average. Then top that amount. Google and Bing hate slow page load time because Internet users hate slow pages, so this is definitely a strong website ranking factor especially for these two search engines. 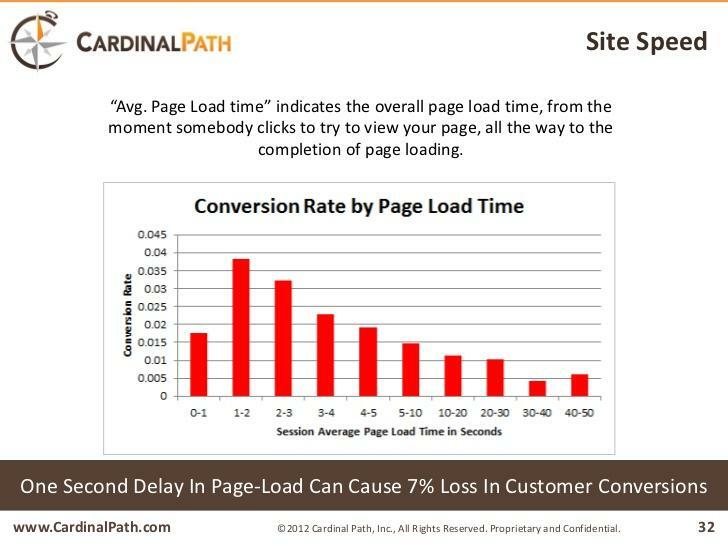 Not only does page load time affect your website ranking, but it also impacts conversion rates. Most users expect your page load time to be less than 3 seconds, so first check your speed with Pingdom. There are many simple ways you can decrease load time. Following these tips by Crazy Egg will put you on the right path. 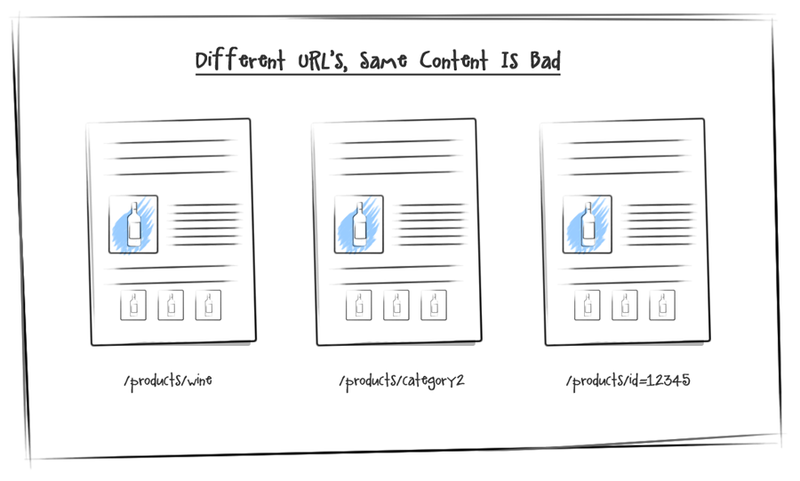 Never, ever duplicate content, even if it’s slightly different. This will most likely cause a negative influence on your ranking. E-commerce websites need to avoid using product descriptions that are provided by manufacturers, because this is also considered duplicate content. Never copy and paste content from someone else’s site to your own. Write unique product descriptions and not ones the manufacturer provides. Images play a big role when search engines index your content, because it gives them clues as to what your content is about. And it’s important you leave enough “clues” about this so that your page is relevant for searchers. Resize large images to avoid slowing down your site. Compress images either by using a plugin like Smushit, or use Optimizilla before you upload them to your site. Change the file name of the image before uploading to your website. Focus on the alt-text description of the image. Write the description as if you’re telling someone what the image depicts. You don’t need to use keywords in this section. Add a description based on your keywords for the title of the image. Including the chosen keyword in the first 100 words of your content seems to be a strong relevancy signal. It can be a little tricky to include the keyword in the beginning, but make sure you only add it in a natural way. This seems to be a big relevancy signal. Make sure you’ve set your WordPress permalinks properly so that they include the keywords of your post title. Once the permalinks are set up properly, when you add the title to the post, it will automatically create a page URL with the title, which contains the keywords. Google has said that they prioritize websites with quality content that adds value to Internet searches, so make sure this is what you’re doing. Never add content just for the sake of adding content. One of Google’s philosophies is to focus on the user first. If you do the same, you can’t go wrong. Understand who you’re writing for. What are their desires, their needs? What are they searching for that you can answer? Base your content on this. When adding images, avoid stock images and opt for images that support the content. Have a goal for your content that must be answered by the time you’re done writing. Never write for yourself and to achieve your desires. Marketing to Millennials, Is it Worthwhile?